Investment Recovery Association – READY… SET… BENCHMARK! 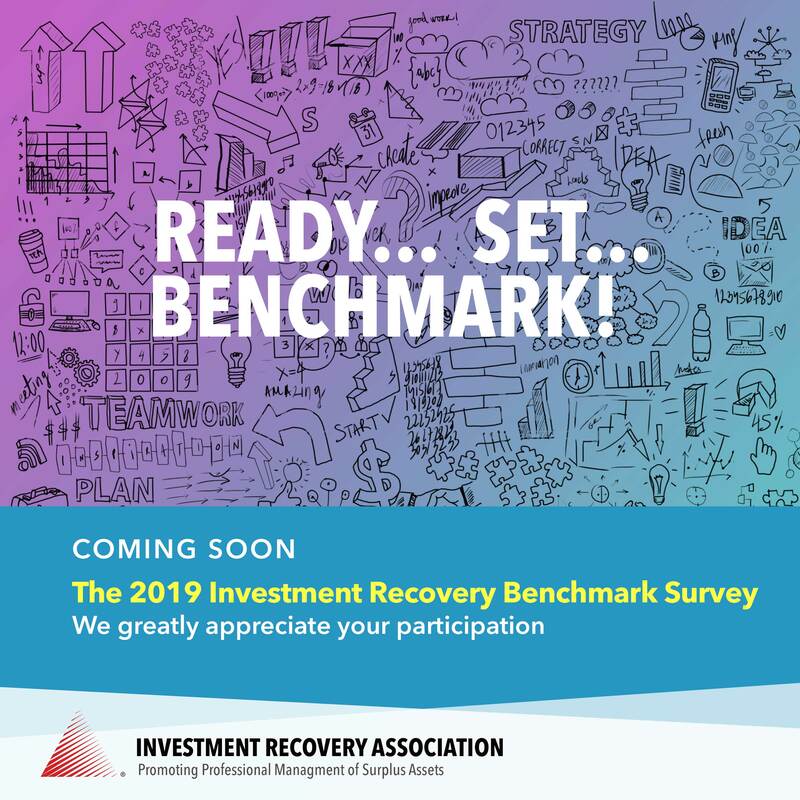 If it’s spring, it’s time for the annual Investment Recovery Association Benchmarking Survey via CAPS Research. By measuring what matters most to our members’ career paths and the industry in general, the results can map out strategies for future growth. And the more who take the survey, the more accurate the findings…especially when it comes to salary metrics. So members…keep an eye on your inbox for a PDF to get you prepped ahead of time. Then look for the actual survey release mid-to-late-April, followed by data collection through early June. And then watch for the big CAPS Report mid-July. As you are completing the survey, please note any questions or changes you would like to see moving forward and send them to us. Most of us love, what we do and use the survey results to meet individual needs. We also ask that you put as much effort into completing it – as you want to get out of it. And you never know, you may be a winner of one of the gift cards just for taking the survey! Thank you again for your continued support for Investment Recovery Benchmarking.